Alexa Leigh Corbett is a 19-year-old who has published two books of poetry – and is working on her first novel. But the JSerra graduate and Northern Arizona University freshman has no intention of pursuing a full-time writing career. But that hasn’t stopped her from amassing a prolific writing resume. 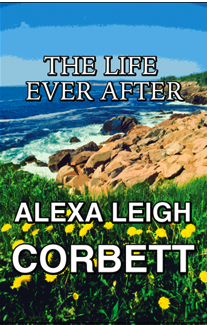 Her latest book of poetry, “The Life Ever After,” will be available for purchase in a few weeks. In a way, she says, it relates to her passion for medicine. Like her first book, “The ID: The Art of Being Human,” it has helped her heal after her older brother’s drug overdose. We recently caught up with Alexa, who still has family in San Clemente. 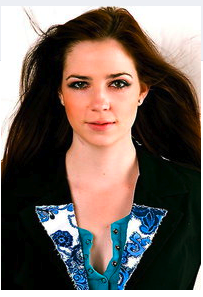 Her younger sister, Somer Corbett, plans to enroll at JSerra in fall of 2010. What reaction do you get from your bio-med classmates when they realize you’ve published two books of poetry? The reviews say your latest book of poems “helps the reader see it’s okay to be happy again after great loss.” Can you share your brother’s story? Andrew Clark Corbett, the most brilliant kid you would’ve ever met. Probably too smart for his own good at times. He was sent to a disciplinary correction school named “Discovery Academy” during the end of his sophomore year in Provo, Utah. He graduated over a year early with honors for having straight A’s. He came home and it was a slow path downward. About a week before he died, I spoke to him alone after our weekly “sunday brunch with dad” thing. I tried to “wake” him up to reality. The next week, Tuesday morning, while at the barn, my dad came and told me. I said, “He’s dead isn’t he?” and my dad just broke down. At his funeral, over 500 people attended, and they had to turn the PA system on outside because even after people were seated, and most standing, there STILL was not enough room for all the people that he met, knew, and loved. What do you think your brother would say about all you’ve accomplished in such a short period of time? I know he would be proud and say something along the lines of “We’re Corbetts and that’s what we do.” I wish he was here to see who I turned out to be and what I didn’t know I was capable of, but he is watching from above and there are moments I swear he is letting me know he is here and watching. What advice would you give to aspiring teen-age writers? Don’t ever give up. You will find a hundred people telling you that you can’t and all you need is one to believe in you. For me that was my high school teacher Ann Forster. She had my back 100% of the way on my first book and we keep in touch and she can’t wait for the second. It may take a few tries to discover what you are good at or what you really enjoy, try to be open to new experiences. Do you still ride horses? Yes I do. I have a “project” horse at the moment. I am hoping will one day take me to my dreams of the World Cup or maybe even the olympics, but then again that is a long shot, but that seems to be a thing with me – being “the long shot” so i’ll stay optimistic. To read more about her book, click here.